Ken Mehalko has been bringing music to Strongsville for the past 58 years. During most of those years, 1961-1990, he served as the Director of Instrumental Music at Strongsville High School. The ensembles he directed-the marching band, concert band, orchestra and jazz ensemble received statewide and national recognition for their musical excellence at state contests, music conventions and parades such as the Orange Bowl Parade and the Tournament of Roses Parade. In 1990 he founded the Strongsville Community Band and two years later, the Strongsville City Jazz. He and his wife, Beverly created Puttin’ On The Glitz, a successful musical variety show in Strongsville for persons over 55 years of age. Ken has also served as a music educator in Chile for the Ohio Arts Council as a guest of the Chilean Ministry of Culture on five different occasions. He recently retired as Director of Athletic Bands at Baldwin Wallace College. He graduated from Baldwin Wallace College in 1961 with a degree in music education and holds a master of arts degree from Case Western Reserve University. He is a member of the Strongsville Rotary Club, performs with the TOPS Swing Band, is a past member if the Strongsville Education Foundation and has been very active in the Ohio Music Education where he held various offices over the years. His many honors and awards include: The Baldwin-Wallace Conservatory Alumni Achievement Award; Baldwin-Wallace College Outstanding Educator Award; Strongsville High School Distinguished Alumni Award as a former teacher and a Medical Mutual Of Ohio Outstanding Senior Volunteer Honorable Mention Award for his work with the “Glitz”. He lives in Strongsville with his wife, Beverly Wehr. Brian D. Maskow has been named Assistant Director of the Strongsville Community Band. A Strongsville resident, he is the retired Director of Bands at Lakewood High School where he taught for over 30 years, currently a part time Educational Sales Representative for Rettig Music. A graduate of Bowling Green State University and Northwestern University Brian performs regularly on clarinet and saxophone with the Dan Zola Big Band and the Strongsville City Jazz Swing Band. His conducting teachers and influences include Mark Kelly, John Paynter, Craig Kirchoff, Larry Radcliffe, Robert Jorgensen, and Ken Thompson. He is married to Julie Elliot Maskow a violinist, retired Director of Orchestras at Fairview Park City Schools and currently the Director of the New Horizons Orchestra at Baldwin Wallace University. The Strongsville City Jazz is one of the most versatile groups of its kind in the Cleveland area, playing everything from jazz classics to swing music from the big band era. The fine musicians who make up the band bring a variety of musical experience to their performances that include entertaining at Playhouse Square, The Front Row Theater, Kenley Players, and The Coliseum. Some members of the band have performed with some well-known ensembles, including The Glenn Miller Orchestra, Warren Covington, Buddy Rich, Louie Bellson, and Jimmy Dorsey big bands and The Cleveland Jazz Orchestra. The band performs during the summer as part of the Strongsville Community Band Summer Concerts and in other area communities. During the winter the band has been featured at a number of Cleveland area high school jazz festivals and on occasion has played for some dances. Vocalist Kim Wasielewski complements the band with her refreshing vocal renditions of many pop favorites. Kim, a dance instructor and yoga teacher, has been singing with the band for a number of years. The Strongsville City Jazz is co-directed by Ken Mehalko and Jim Wonnacott. Ken founded the band in 1992. He is retired from the Strongsville City Schools where he successfully directed the high school band for 29 years. Presently he directs the Strongsville Community Band, and is the former Director of Athletic Bands at Baldwin Wallace College (now University). Jim Wonnacott is also a graduate of Baldwin Wallace College (now University). He retired from the Strongsville City Schools in 1996 where he had success teaching at Center Junior High School. As a freelance musician and arranger he has performed for many prominent bands and entertainers, including The Cleveland Jazz Orchestra and has toured with singer Al Martino. On June 27, 2011 Jim performed with the Jimmy Dorsey Orchestra, featuring the Pied Pipers at Lake Chautauqua, New York. He is the founder and former Musical Director of the Baldwin Wallace Alumni Jazz Orchestra and in July, 2016 he toured with "The Platters." Jim received the 2009 BW Conservatory Alumni Achievement Award in recognition of his accomplishments as a performer and educator in the Cleveland area and his dedication to the Alumni Jazz Orchestra and was awarded the BW Alumni Association Merit Award in May, 2011. 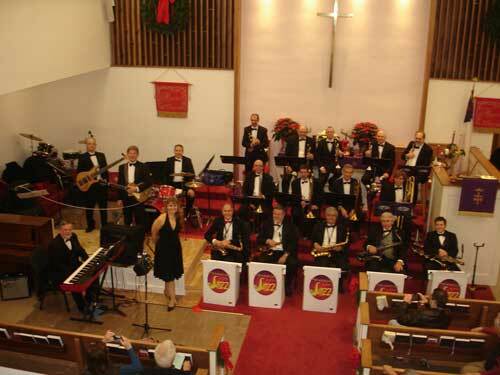 On July 11, 2012 the Cleveland TOPS Swingband named Jim as its new Music Director. On May 2, 2013 Jim was inducted into the Euclid High School Alumni Association's Distinguished Acheivement Hall of Fame. The Strongsville Community Band was founded in 1990 by director Ken Mehalko. The band received its initial financial support from the Strongsville Women’s League. It now has a board of directors who set policies and raise and manage monies to support the band’s activities. The City of Strongsville provides the performance and rehearsal areas. 2018-19 Concert Season. Our 30th year. Sunday, May 19, 2019 in the Ehrnfelt Senior Center. Summer Concerts will be on the front lawn of Strongsville Middle School, 13200 Pearl Rd. at 7:30 p.m. In case of rain, concerts will be moved to the Ehrnfelt Senior/Event Center. Friday, July 26, 2019 Strongsville City Jazz Swing Band at the Senior Center. 7:30 p.m.
Sunday, July 28, 2019 Strongsville City Jazz Swing Band at the Hudson Bandstand. 7:00 p.m.
Sunday, August 11, 2019 at Hudson Bandstand. 6:00 p.m.
All SCB rehearsals will be in the Ehrnfelt Senior Center from 7:00 to 9:00 p.m.
Ellen Hansen-Ellis, BW Con Admin. Asst. Laurie Furtado (Piccolo), Database Admin. 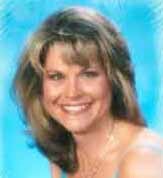 Renee McDermott, Airline Sales Mgr. Gail Kish, CSU Music dept. Barbara McKissock, Ret. NASA Engr. Mike Elkins, Retired Software Devel. Joe Rongone, Insurance Claims Rep.
Kenneth Konicek, Retired Music Ed. Dennis Tucker, Retired Bank Exec. James Wonnacott, Retired Music Ed. Randy Border, BW Marching B.Dir. Dave Viglione, Retired Music Ed. Dr. Rosario Cambria, Retired BW Prof.
George Kiteley, Retired BW Music Prof.
Excerpts from previous performances in mp3 file format. Click on track to play. Caribbean Hideaway - James Barnes. David Kay, saxophone solo; James Wonnacott, trumpet solo. Next Community Band concert will be Sunday, May 19, 2019 at 3:00 p.m. in the Senior Center.